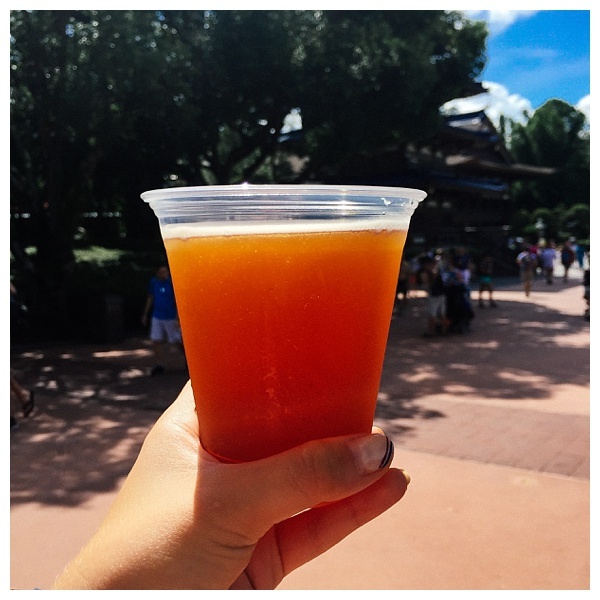 The Epcot Food and Wine Festival is a two month celebration of eating and drinking. 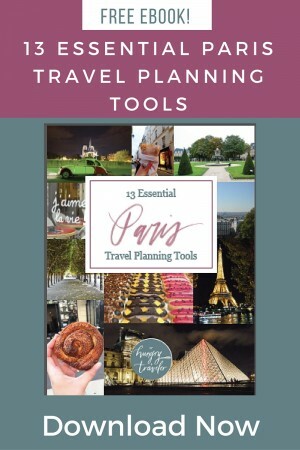 Before you taste your way around the world, check out my picks for the food and drinks you must try and a few dishes that you can skip. 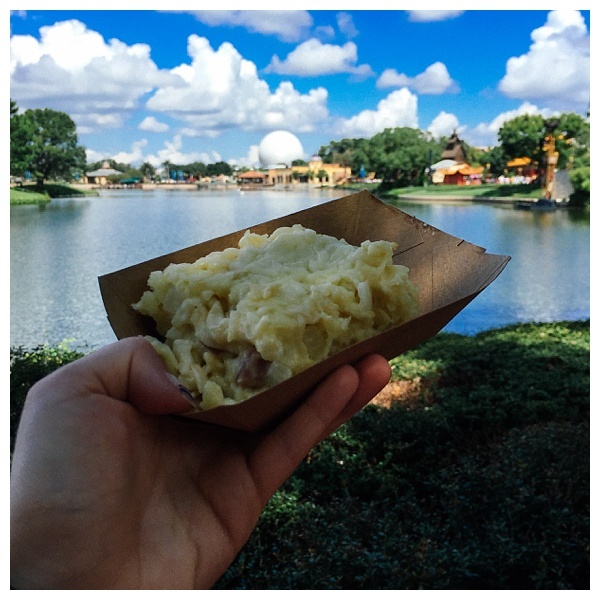 I recently spent a week at the Epcot International Food and Wine Festival at Walt Disney World. 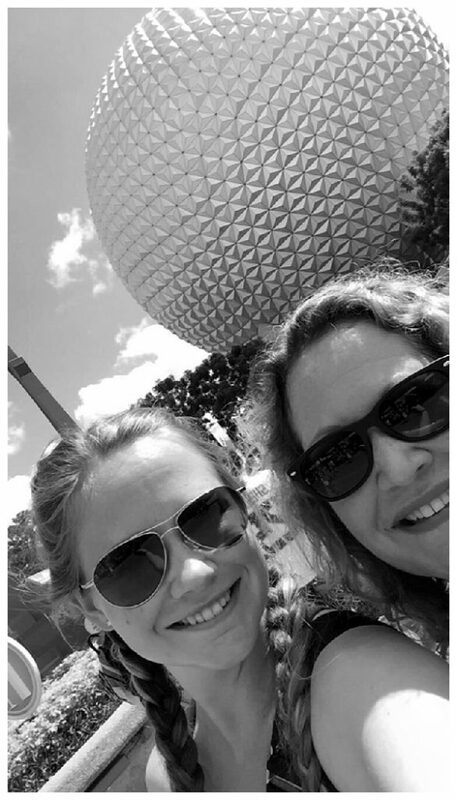 My mom and I went for the first time last year and enjoyed it so much we decided to go again this year. 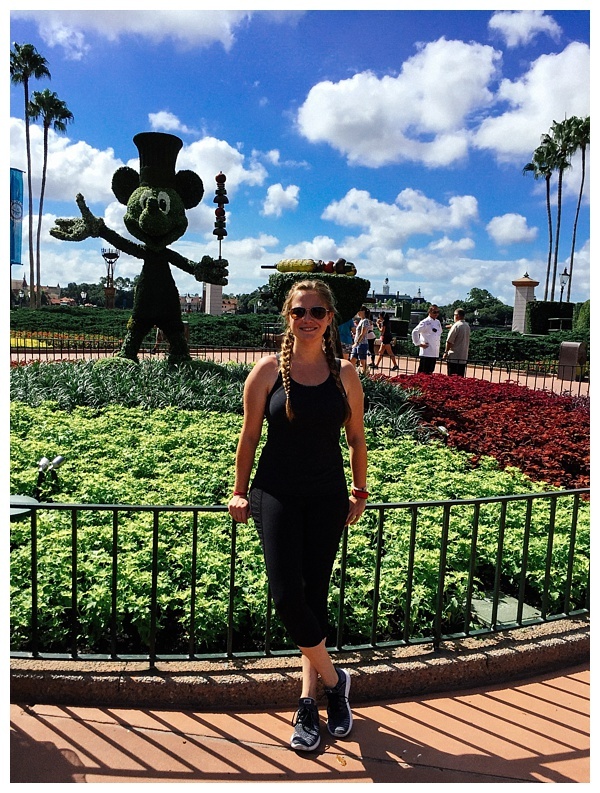 I already love all things Disney, so when you add in food and wine, it’s a no brainer. 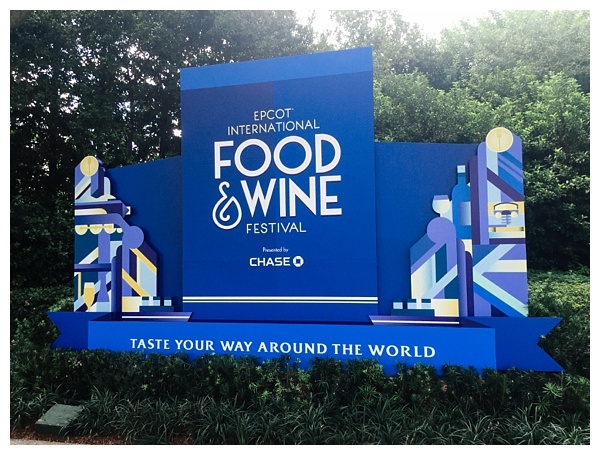 The Epcot International Food and Wine Festival takes place every fall and this year it runs from September 14 – November 14. 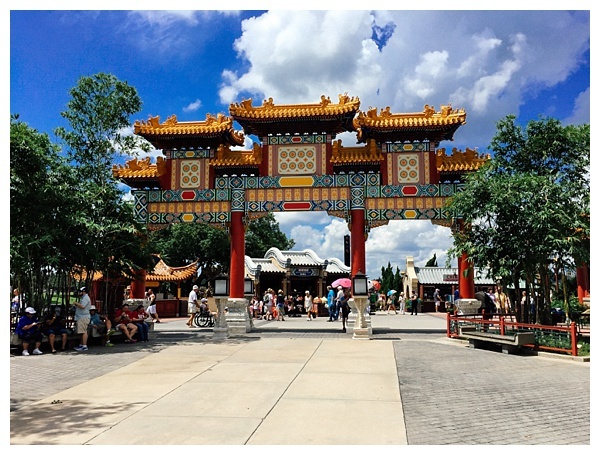 The festival is held in Epcot’s World Showcase area and is included with your park admission. The main draw is the Global Marketplace which features kiosks serving food and drinks from 30+ countries. There are also special concerts, chef demonstrations, beverage seminars, and special tastings and events. The Chew even broadcasts live from the festival for a week! When you get to the festival, the first thing you want to do is grab a passport. These are free booklets that are found next to the maps at the park entrance. They list every festival kiosk and the food and drinks that are offered at each one. The hardest part of the festival is deciding what to try. 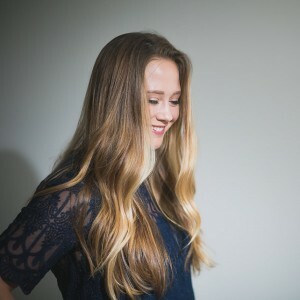 I recommend coming up with a game plan and determining which foods you want to try the most. Go to those kiosks first. The servings are decently sized and you will get full more quickly than you anticipate. 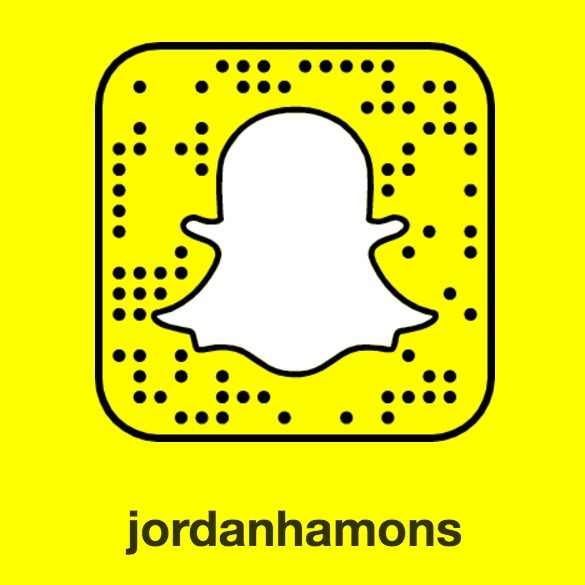 If you’re with friends or family, try sharing as much as possible. The fun of the festival is working your way around the world and getting to try as much as possible. You can always go back for a second serving. After you have your passport, it’s time to start working your way around the world. 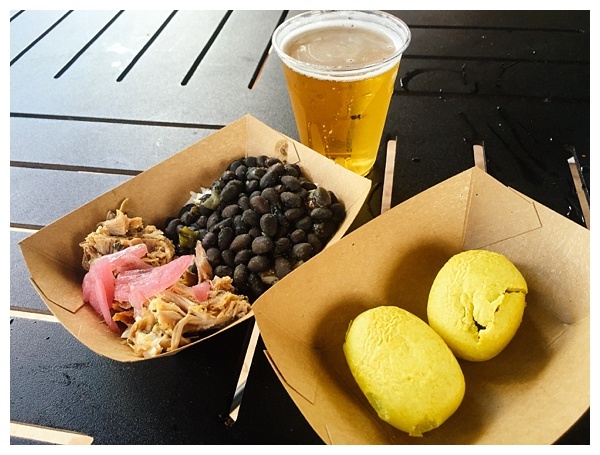 If you have a Magic Band, purchasing food and drinks is easy. All you have to do is go up to the register, order, and scan your Magic Band. If you are using cash or credit, then you just pay in the traditional manner. 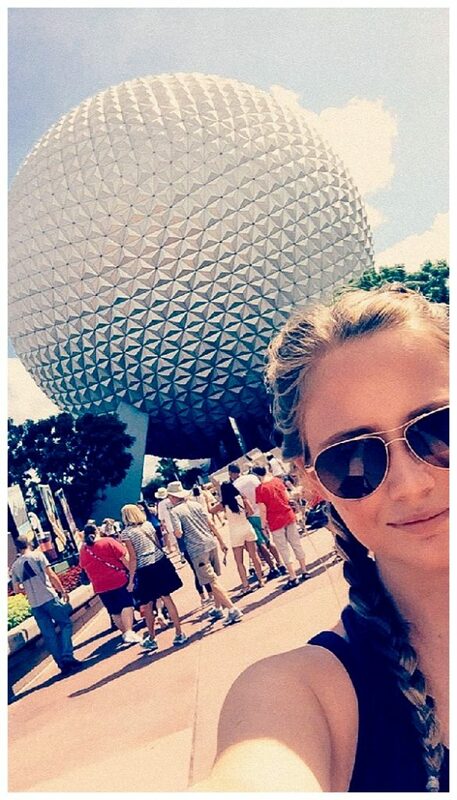 If you don’t have a Magic Band, you can buy a gift card and put a certain amount of money on it, then just swipe it at each kiosk. This is also a great strategy for budgeting how much you spend at the festival. For example, you can put $50 on your gift card and when the money is out, it’s time to go home. After you pay, a cast member will hand over your receipt and you can walk around the corner to receive your food. Don’t lose or rip your receipt before you receive your food! The cast members make a small tear in the top of the receipt to show that you were given your order. 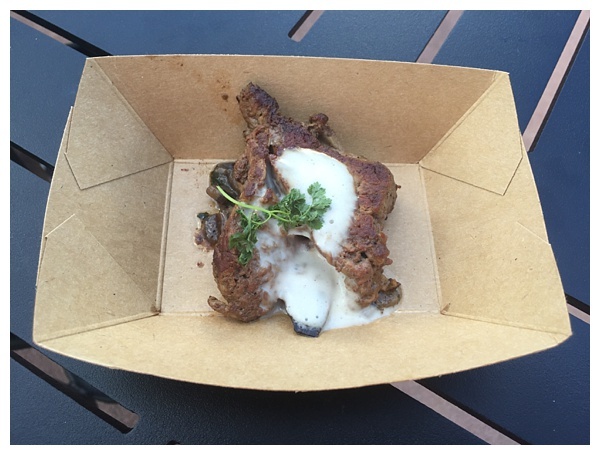 Another thing to know about the Epcot Food and Wine Festival is that it is often incredibly hot. Come prepared and take care of yourself. Yes, it’s fun to try all of the alcoholic drinks but make sure you are drinking water too. The heat can really take it out of you. You may also consider bringing a small portable fan or one of those cooling towels. 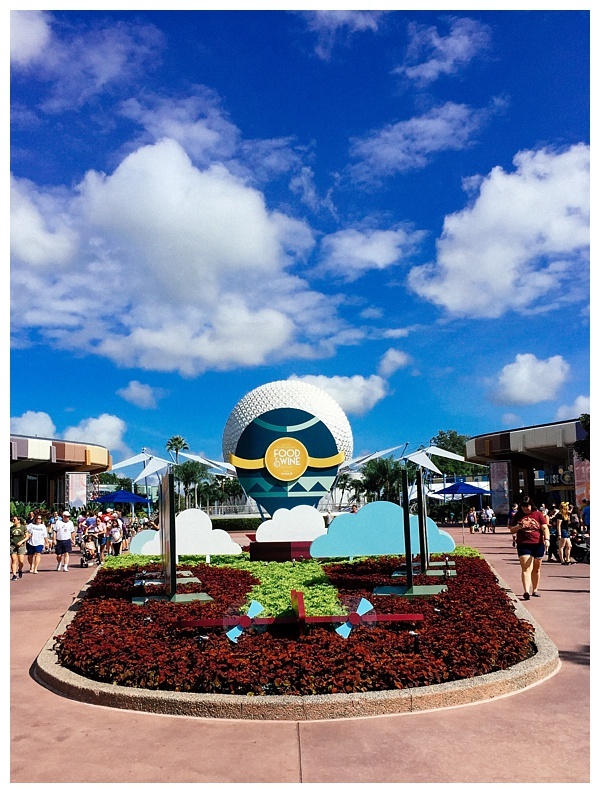 If you’re a Chase cardholder or a Disney Vacation Club member, take advantage of the festival lounges where you can get a cold drink, charge your phone, and spend some time in the air conditioning. The Islands of the Caribbean kiosk was new to the festival this year and it’s where we decided to start our trip. We ordered the Mojo Pork and the Jamaican Beef Patties. They were both flavorful and delicious and I recommend them both. 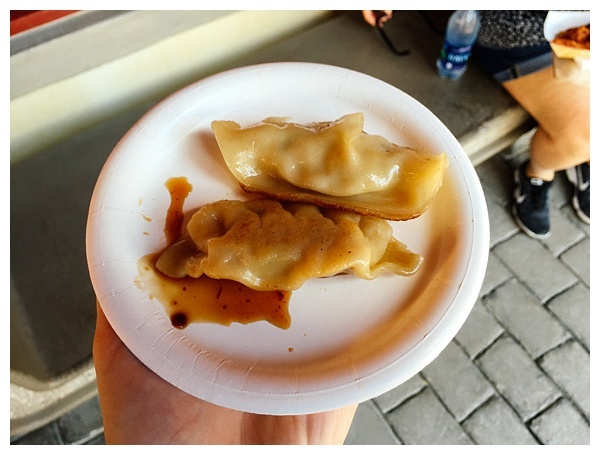 The chicken potstickers from China were ok. There was nothing bad about them but they were pretty boring and typical. They may be a good option for a picky eater, but I would skip them and find something more flavorful and unique. 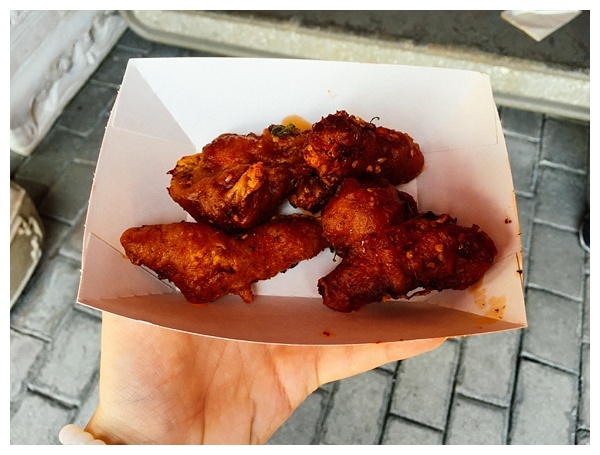 This Sichuan Spicy Chicken was my favorite dish from the festival. It was perfectly fried and crispy and had just the right amount of heat. The dish uses Sichuan peppercorns so the heat is the kind that gradually numbs your mouth, not the in-your-face spicy kind of heat. The spice definitely builds so you want to have a drink handy. This is a must-try dish! This was delicious. I didn’t eat the lettuce and just picked at the filling with a fork. If you’ve never had Korean food, this would be a great place to start. This BBQ Beef dish was also delicious, but I think it needed a bit of a kick. Again, this is a good entrance into Korean food. You’ll get introduced to the flavors but it’s still mild enough to be familiar. 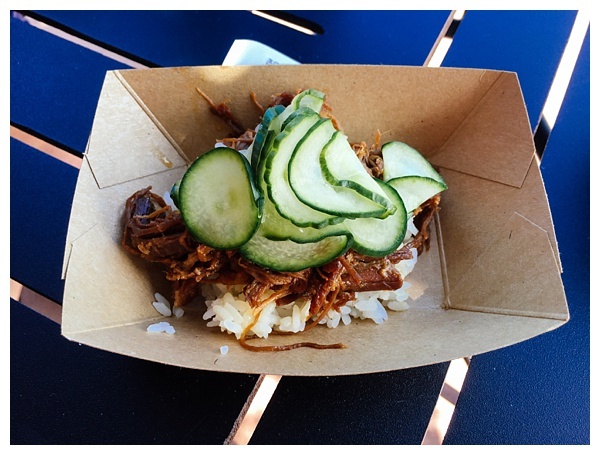 Surprisingly, this was another of my favorite dishes at the festival. 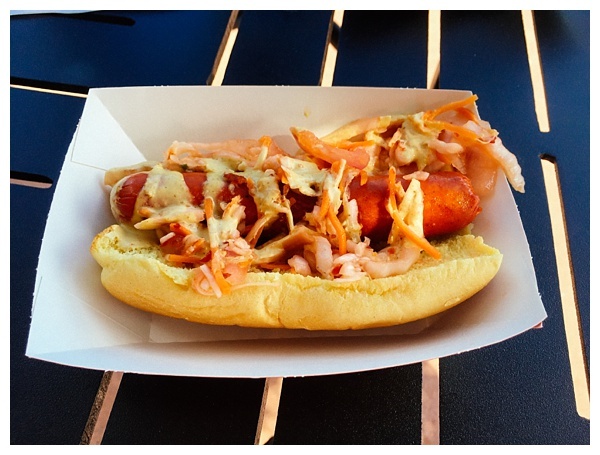 The hot dog was spicy and flavorful and had a perfectly cooked crisp casing. The mustard and kimchi added so much flavor and kept every bite exciting and delicious. I think a lot of people miss this hot dog because it doesn’t belong to a specific country, however, this is a must-try! 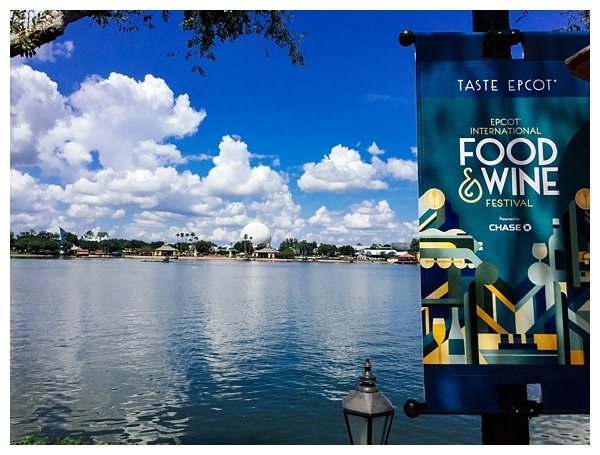 I often find myself wishing that the Epcot Food and Wine Festival happened in a cooler time of the year, like January or February. I am not a fan of the heat and it’s hard for me to really enjoy the food when I’m sweating and uncomfortable. Many of the dishes are kind of heavy and cheesy and that’s a risky combination with 100 degree heat. This is one of those dishes. 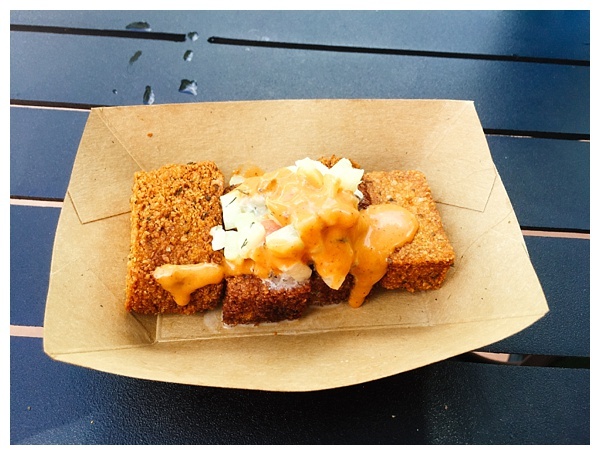 It’s definitely a cold weather, stick to your ribs dish, but it’s still worth trying when you’re at the festival. It’s like macaroni and cheese but heartier and with a more complex flavor. I loved it so much I’ve recreated it with my own version of the recipe. Must-try!! This is one of my mom’s favorite dishes at the festival. 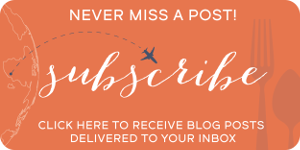 If you like stuffed cabbage, you’ll love it! This dish is worth it for the kielbasa. Last year, the pierogi was great but this year it was hard and weird. I think it was overcooked. 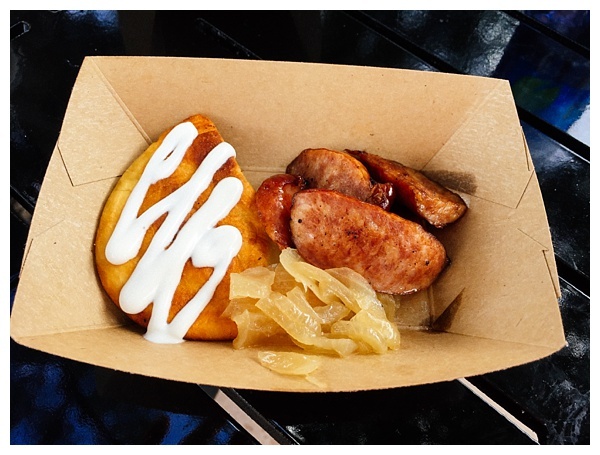 The kielbasa is slightly spicy and full of flavor, and one of my favorite bites at the festival. Carrot cake isn’t particularly unique or exciting, but this is one of the best carrot cakes that I’ve tasted. The individual cake is covered with a ladle of warm cream cheese icing and it truly makes the cake. 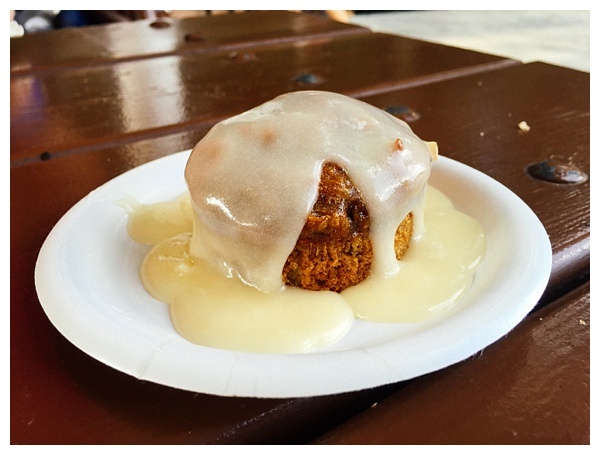 If you want something sweet and satisfying, this is a great option. My first concert was Hanson so I had to try their beer. 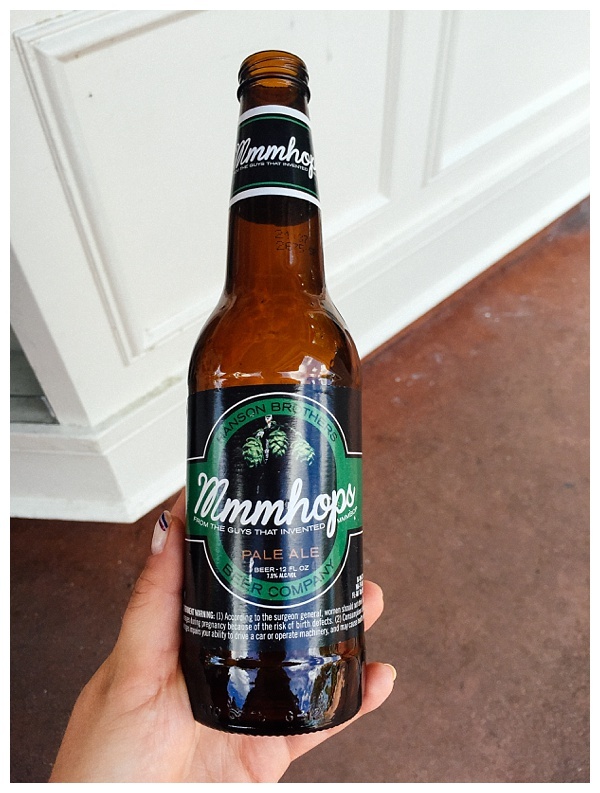 It’s hoppy, citrusy, and refreshing. I love spice but it can sometimes be hard to find at Disney. 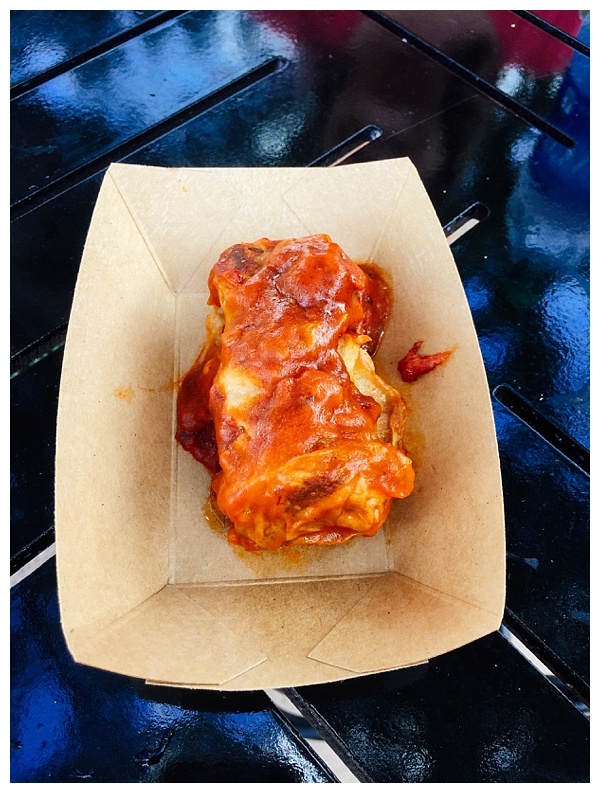 Given that they cook to please the masses, the Disney version of spicy does not always meet my expectations. I was pleased when these hummus fries actually had a nice spice to them! This is a good vegetarian option and a lighter dish to help break up all that heavy eating. I would recommend these. 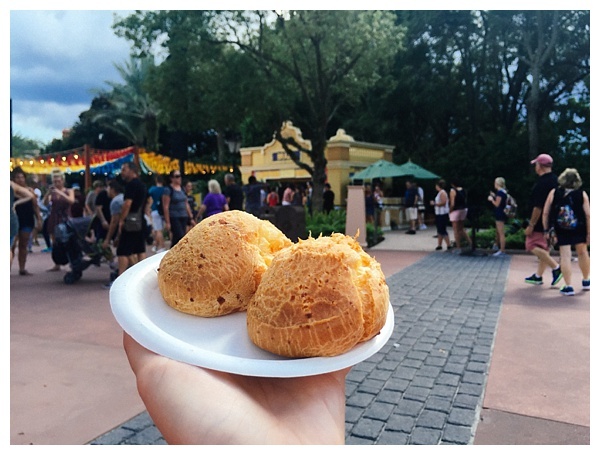 I’m a fan of Brazilian cheese bread so I wanted to try the version offered at the festival. They are quite good and a great complement to beer. 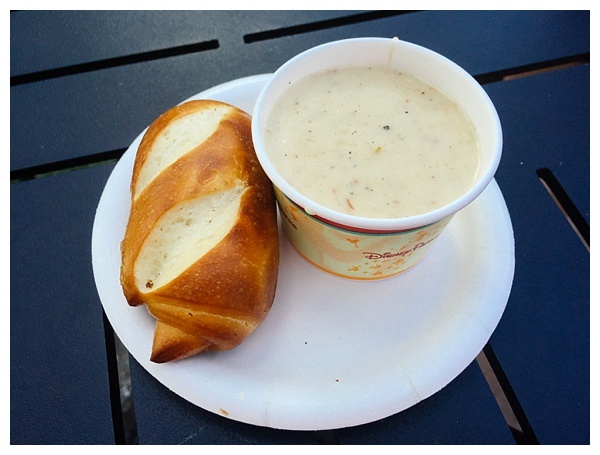 Try these if you love cheese bread, but there are more exciting options to be found. 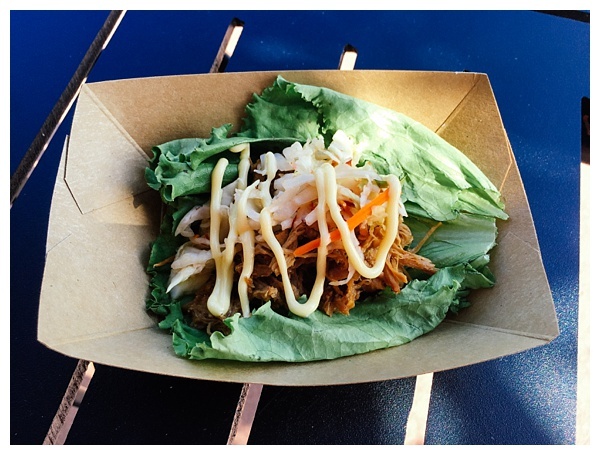 This is one of the most popular dishes at the festival. It may not look pretty, but don’t let that fool you. The filet and truffle butter is absolutely delicious. This is a must-try. It’s hard to convince yourself to try soup when it’s 100-degrees outside, but this soup is worth it. It’s a heavy dish so it’s best to share it and not ruin your appetite. Somehow I can’t find my photos of these dishes. However, both were heavy and filling but low on flavor. I wouldn’t go out of my way to get either dish, but the buttered chicken was the better of the two. These are all must try dishes! 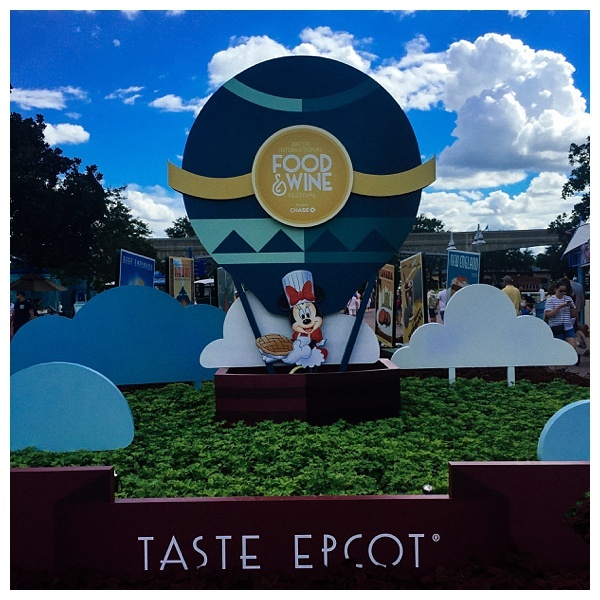 Have you been to the Epcot Food and Wine Festival? What are your favorite and least favorite dishes?